Much bioethical literature and policy guidances for big data analytics in biomedical research emphasize the importance of trust. It is essential that potential participants trust so they will allow their data to be used to further research. However, comparatively, little guidance is offered as to what trustworthy oversight mechanisms are, or how policy should support them, as data are collected, shared, and used. Generally, “trust” is not characterized well enough, or meaningfully enough, for the term to be systematically applied in policy development. Yet points made in the philosophical literature on trust can help. They allow us, not only to better distinguish the different ways the term “trust” may be interpreted, but also to better determine how different approaches to trust can align with policy and governance—in what ways they may relate to key bioethical concepts and related laws, and in what ways they can help to balance individual and group interests in data sharing. 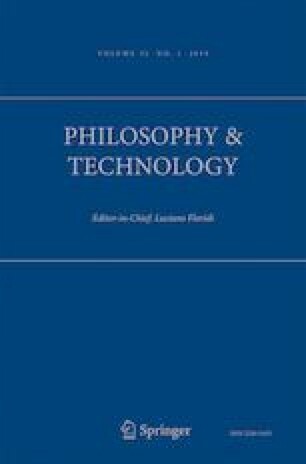 This article draws from the philosophical literature on trust to identify a relationship among consent, trust, and justice. Specifically, parallels are drawn between “character-trustworthiness” and “natural justice,” a set of widely held legal safeguards intended to ensure decision-makers follow a pattern of procedural fairness which protects the rights of the individual and thereby maintains public confidence in the decision-making process. Relevance to traditional bioethical principles, established laws, and consent procedures are addressed throughout. In conclusion, policy actions are suggested. This work was made possible by a Fellowship at Harris Manchester College, University of Oxford and the Center for Health, Law, and Emerging Technologies (HeLEX), Nuffield Department of Population Health, University of Oxford. My thanks go to Tom Simpson for sharing his unpublished essay discussed in this article, and to the reviewers of this article whose feedback helped to improve it substantially. The author is a member of the Global Alliance for Genomics and Health and has helped produce some of the policy documents and ICT tools highlighted in the article. Carter, P., Laurie, G. T., Dixon-Woods, M. (2015). The social licence for research: why care.data ran into trouble. Journal of Medical Ethics. https://doi.org/10.1136/medethics-2014-102374. Federal Register (2017). Revisions to US Federal Policy for the Protection of Human Subjects, originally promulgated as a Common Rule in 1991. https://s3.amazonaws.com/public-inspection.federalregister.gov/2017-01058.pdf. Global Alliance for Genomics & Health (GA4GH) and International Rare Disease Research Consortium (IRDiRC) (2016). Automatable Discovery and Access Matrix (“ADA-M”) v1.0. Guidance document. https://genomicsandhealth.org/work-products-demonstration-projects/automatable-discovery-and-access-matrix. Global Alliance for Genomics and Health (2017). Global Ethics Review Recognition Policy. Policy Document. https://genomicsandhealth.org/work-products-demonstration-projects/ethics-review-recognition-policy. Metcalf, J. (2017). Letter on Proposed Changes to the Common Rule. Council for Big Data, Ethics, and Society. Accessed July 17, 2017. http://bdes.datasociety.net/council-output/letter-on-proposed-changes-to-the-common-rule/. Al-Rodhan, Nayef. The Social Contract 2.0: Big Data and the Need to Guarantee Privacy and Civil Liberties. Harvard International Review (2014). Mills, P. (2015). Comments on WMA Declaration on Ethical Considerations regarding Health Databases and Biobanks (Draft 2015–03-18). Nuffield Council on Bioethics. https://nuffieldbioethics.org/wp-content/uploads/WMA-health-databases-declaration_Nuffield-Council-on-Bioethics-June-2015.pdf. National Institute of Health, ‘About the All of Us Research Program’ (2017). https://allofus.nih.gov/about/about-all-us-research-program. Sankar, P.L., and Parker, L.S. (2016). The precision medicine initiative’s all of us research program: an agenda for research on its ethical, legal, and social issues. Genetics in Medicine 19, 743–750. https://doi.org/10.1038/gim.2016.183. Shrack, T. D., Ruff, A. M. and Johnson, M. T. (2015). Proposed revisions to the common rule receive harsh criticism from industry stakeholders. http://www.lexology.com/library/detail.aspx?g=2a59a3ee-c9ee-40d4-91a4-b7b5d698d76c. UK’s Department for Business Innovation and Skills (2011). The Strategy for UK Life Sciences. https://www.gov.uk/government/uploads/system/uploads/attachment_data/file/32457/11-1429-strategy-for-uk-life-sciences.pdf. UNESCO (1997). Declaration on the Human Genome and Human Rights. http://www.unesco.org/new/en/social-and-human-sciences/themes/bioethics/human-genome-and-human-rights/. UNESCO (2003). International Declaration on and Human Genetic Data. http://www.unesco.org/new/en/social-and-human-sciences/themes/bioethics/human-genetic-data/. UNESCO (2005). Universal Declaration on Bioethics and Human Rights. http://www.unesco.org/new/en/social-and-human-sciences/themes/bioethics/bioethics-and-human-rights/. United Nations (1948). International Declaration of Human Rights. http://www.un.org/en/universal-declaration-human-rights/. World Medical Association (2016). Declaration of Taipei on Ethical Considerations regarding Health Databases and Biobanks. http://www.wma.net/en/30publications/10policies/d1/.